A TASTE OF AFRICA FOR CHILDREN came to Logan City last week. 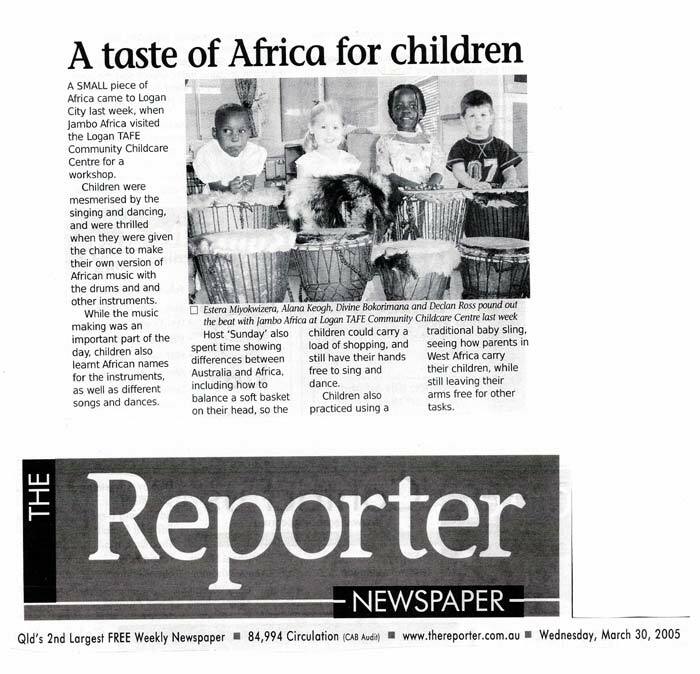 It happened because Jambo Africa visited the Logan TAFE Community Childcare Center for a workshop. Jambo Africa mesmerized children by the singing and dancing. 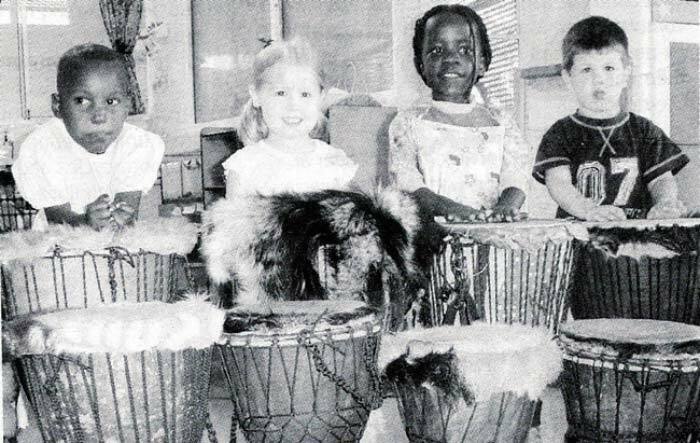 Moreover, they were thrilled when they were given the chance to make their own version of African music with the drums and other instruments. While the music making was an important part of the day, children also learnt African names for the instruments, as well as different songs and dances. Host ‘Sunday’ also spent time showing differences between Australia and Africa. He explained how to balance a soft basket on their head, so the children could carry a load of shopping, and still have their hands free to sing and dance. Finally, children practiced using a traditional baby sling. They saw how parents in West Africa carry their children, while still leaving their arms free for other tasks.